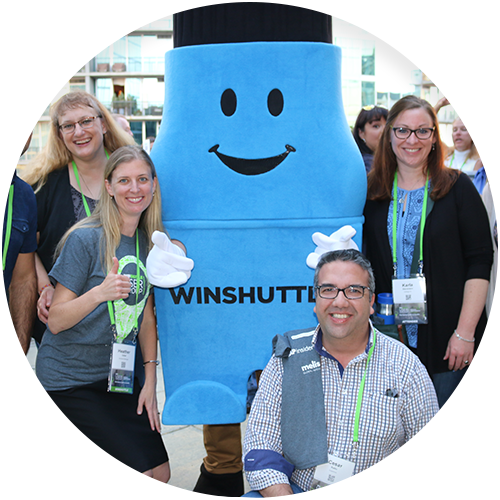 The Winshuttle brand is the sum of how the public sees our company — from prospects and customers to future employees, partners, and members of the press. Their interactions with us and experience with our products and services will influence our value and ultimately influence their opinions and decisions. On this site, you will find guidelines on how Winshuttle expresses our brand in visuals, voice, and on the website. This includes specifications, helpful tips and tricks and more. A game changer / life saver / way of life. 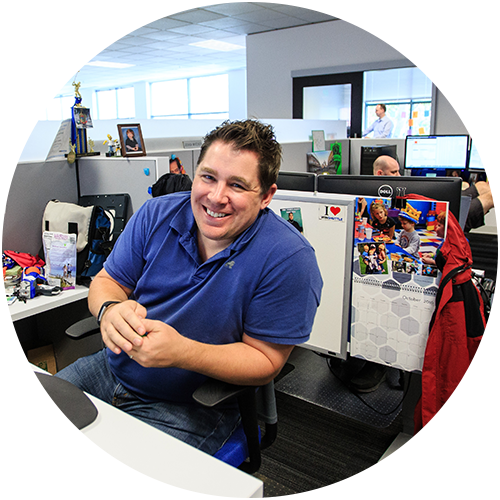 Our customers are SAP power users and line of business owners who work with the data of some of the world’s most recognizable brands. Once users see our software, the “aha” moment happens when they realize our products can make a huge difference in their daily work and have an impact on company costs, revenue, and productivity virtually anywhere in the company. A company who lives by their values. Our internal PACT values (People, Action, Continuous Learning, Trust) carry over into how we work with each other and our customers. We value people and treat them with respect. We are constantly learning and rising to the occasion to solve problems, and we want customers to trust we have their best interests in mind and strive to make their lives easier and more productive. A global team who takes what we do seriously, but not ourselves. We like to have fun. We have a funny looking mascot. We laugh a lot – especially when we’re making sweet videos like this one. We’re upbeat and conversational and like to interact with customers as friends — whether on the phone or in person at an event. We use branding to help define and shape those experiences so they are easily identifiable as Winshuttle. What we look like, sound like, and how we behave are all important parts of the experience. Branding is the expression of our brand in visuals, tone, and behavior. Visuals are the graphic elements used to communicate our brand including the logo, typeface, images, and other elements of a common style guide. Voice is the style of communication we use, from the text on our website to the messaging developed for targeted advertisements and the way we interact with our customers. Behavior represents how the company acts in every interaction with our customers… online, on the phone, and in person. Need something you don't see on this site?